Celebrate with us! We are hosting our annual Sunshine Open House, including our first life vest drive! Marking the opening of registration for all spring and summer programs at the Sunshine Swim Center we’ve got a busy schedule of activities. The Sunshine Swim Center is collecting gently used and new life vest to donate to swim safe programs in our local area. Life vests are not a one-size-fits all. Let’s start the water season on the right foot by trying on and assessing the sizes of your family’s collection of life vests. If they have been outgrown, it’s time to retire the old ones and purchase new ones. 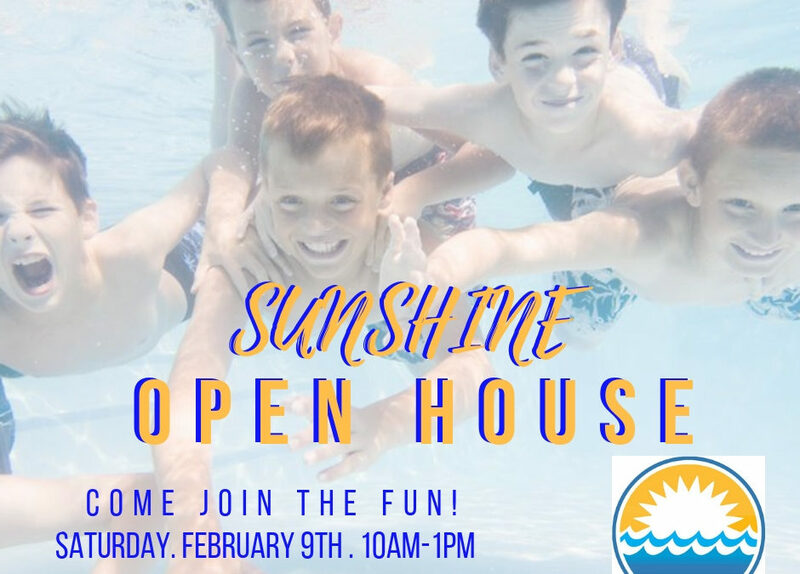 Donate your new and gently used life vests to the Sunshine Swim Center during our open house and we will waive your 2019 annual membership fee. Make an appointment or just drop in, we have our great staff on hand to assess your children’s swim level so registering for swimming lessons will be a breeze. Interested in the Sunshine Gator Swim Team? It’s a great program introducing you to the swim team atmosphere. We accept swimmers between 4 and 15 years old. Swimmers with limited swim ability are also encouraged to tryout as well as more advanced swimmers. 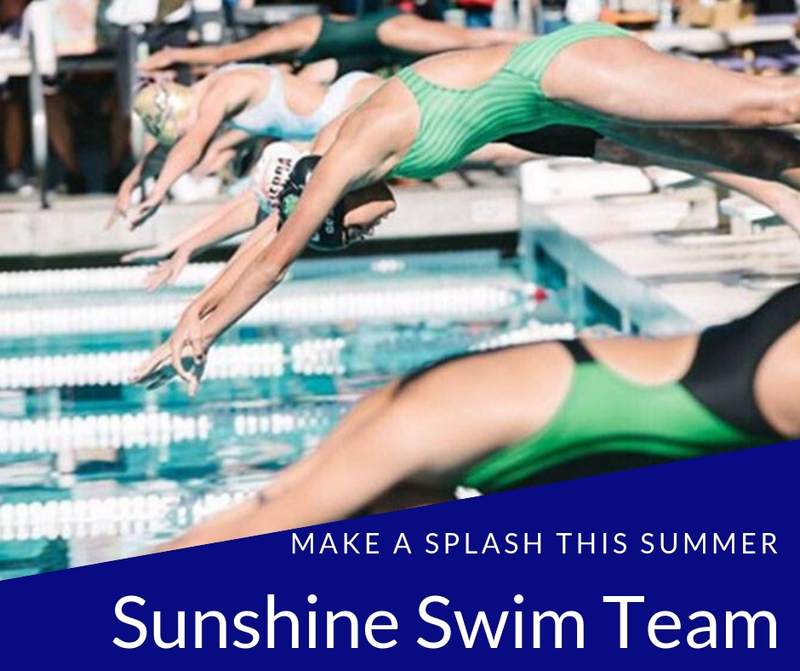 To learn more about the Sunshine Gator Swim Team visit our website. Available from 10am-1pm. Admission is free. Splash and play with family and friends in our heated outdoor pool. Rain or shine! Spring and Summer registration open February 6th! Enroll in group or private classes. First Spring session begins March 4th. Swim team registration is also open in addition to our ever-popular summer camp program! Whether you just have time to drop by to say “Hi”, make a life vest donation, take a dip in the pool, or register for classes and enjoy some free refreshments we would love to see you. Oh, Oh, Oh… swim party bookings. If you have a specific date in mind and you would like to reserve our pool for a special event, now is the time. We had 90% booking for our pool parties last summer.